A discovery that provides deeper understanding about inflammation in the endometrium could bring scientists closer to improving treatment for women with pelvic organ prolapse (POP), a condition resulting from injury during childbirth. 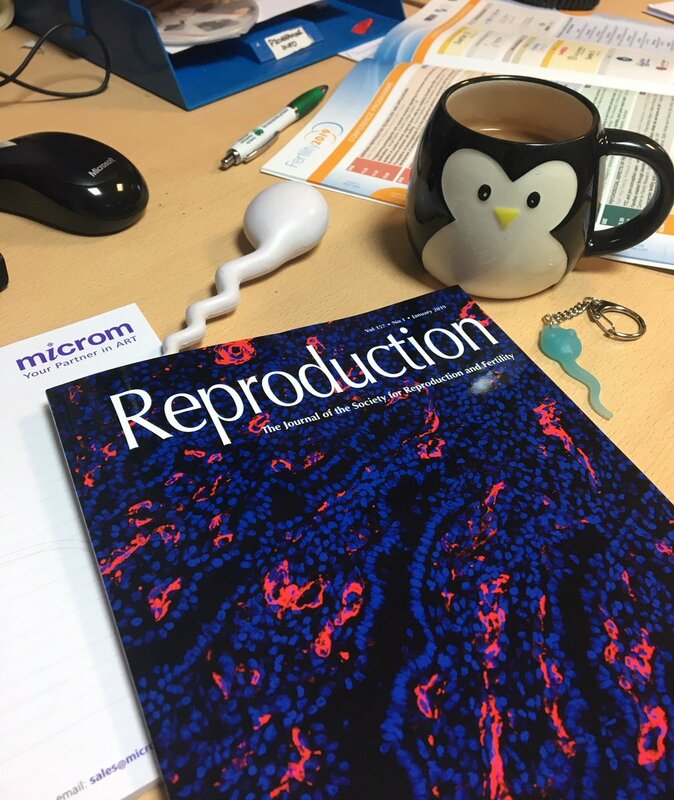 The January edition of Reproduction with Dr James Deane’s cell image featured on the cover. Our study, published in the January edition of Reproduction, shows that mesenchymal stem cells (MSC) in the endometrium have the capacity to dampen inflammation. While stem cells from other parts of the body have this ability, previously it was unclear if stem cells in the endometrium share this trait. 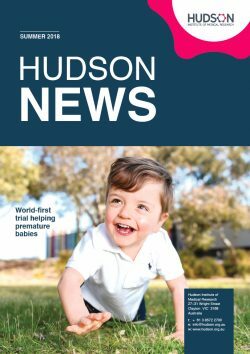 The discovery shows researchers should consider the importance of the inflammation-dampening properties of endometrial MSC, when developing treatments to prevent inflammation to foreign implants (mesh) used to support weakened tissues as occurs in POP. The research builds on our major discovery in 2012, which identified the marker SUSD2 in the endometrium, a finding that paved the way for purifying endometrial MSC for use in cell-based therapies. To complement the publication of the paper, Reproduction selected for its cover an image taken by scientist James Deane during the recent study. It shows MSC as they appear in the endometrium (pictured in red), while the nuclei are stained in blue. 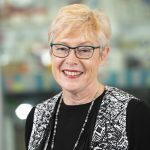 For the study, Professor Caroline Gargett and Dr James Deane mentored a strong international contingent of students. Xiaoqing Yang from the Affiliated Hospital of Nantong University spent 12 months with Prof Gargett while she was finishing her PhD, while Meivita Devianti joined the team from the University of Indonesia to complete her Bachelor of Medical Science. This news article was posted on 22 January, 2019 . It was last updated on 24 January, 2019 .